Featuring clear demonstrations and practical advice, this app has been designed to help make teaching your baby to sign as easy as waving “bye-bye”! high quality graphics and videos optimized for viewing on Retina displays. optional setting to allow continuous play through of all signs in a category. swipe through the signs in a category without returning to the menu. optional setting to view a simplified demonstration for a sign rather than the complete tutorial. This app includes approx. 340 signs and over 1 hour of real life video demonstrations! The app's friendly presenters will help you learn to sign with your baby. 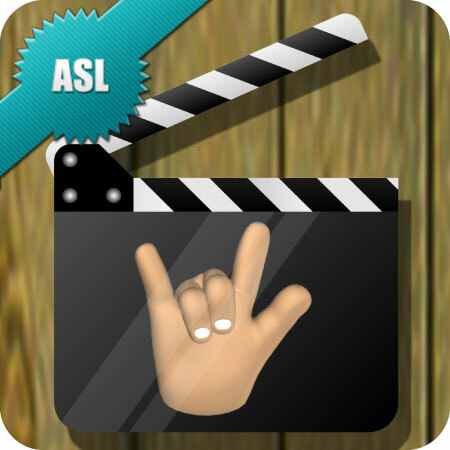 The keyword signs demonstrated in this video dictionary are based on American Sign Language (ASL). All signs have been carefully selected for their ease of use, helpfulness to carers and appropriateness for baby's interests and daily routine. Each sign has a detailed video tutorial covering information such as: simple instructions on how to perform the sign, clever tips to help you remember the sign and practical suggestions on how to introduce the sign to your baby. The signs are also organised into categories such as: action words, animals, daily routines, feelings and emotions, food, manners and behavior, and nature – all of which are arranged alphabetically for quick and easy searching. To test your baby signing knowledge, the app also comes with a fun interactive video quiz that will help you learn and remember the signs. You can also mark signs as part of your favorites list. This app makes the perfect companion to the popular Baby Sign and Learn animated app.